Stories and history on the prairie blacksmith with each of the pattern pieces. 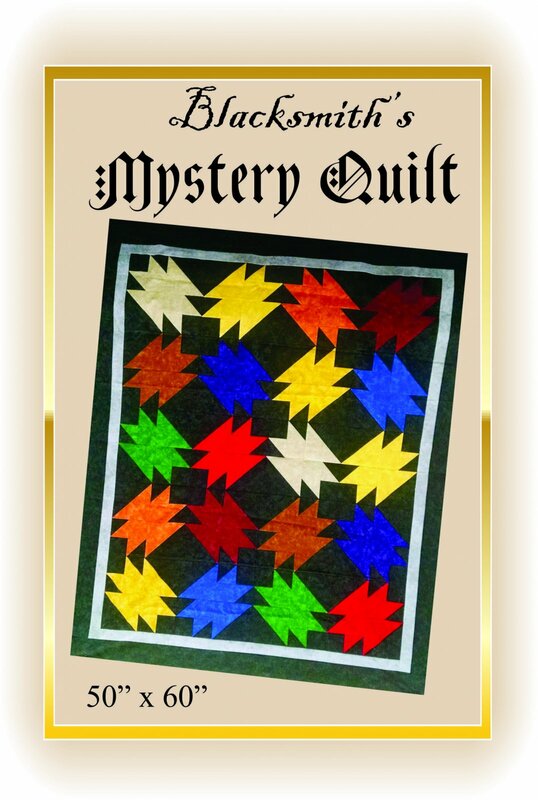 This was a mystery quilt, with instructions for each step of this project. Moda marbles on a black background. Finished size 50" x 60".